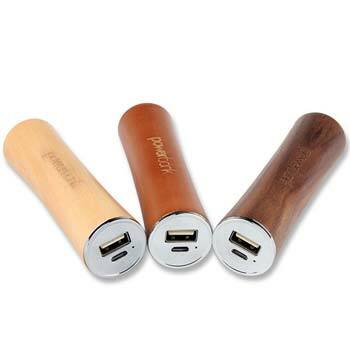 Gorgeous Cylindrical Power Bank in a Clever Wood Finish. Distinctive Alternative to Modern Plastics & Compounds. Weight: 70g. Available in 2200, 2600 & 3000mah Battery Capacities. All Connectors Are Included with the Product Including the Latest IOS8 & Iphone 6 Connectors. Product Size: 114 x 23 x 23mm. Print Area: 85 x 15mm.